Saturday Storytime – Come Build a Zoo With Us! Home → Childrens Programs → Saturday Storytime – Come Build a Zoo With Us! 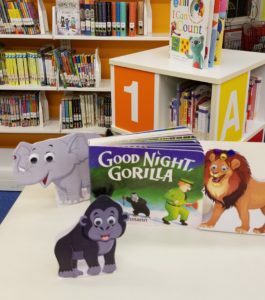 Our Saturday story time series featuring tales about the animals in the Goodnight Gorilla book continues! The after-story craft features a different animal each week – come build a zoo with us!